Great necklace for any attire or occasion. From your jeans and black t up to your most formal attire. 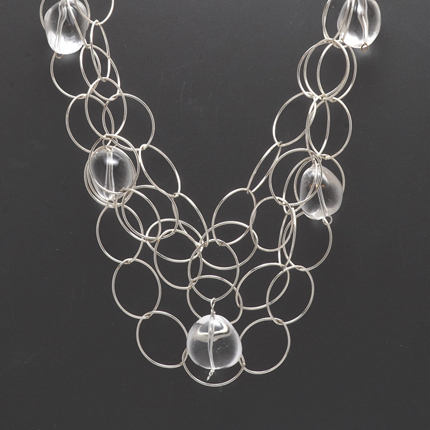 Sterling silver chain with clear crystal quartz stones. Great modern bridal necklace or a bridesmaid’s gift they’ll actually love and wear long after your wedding.